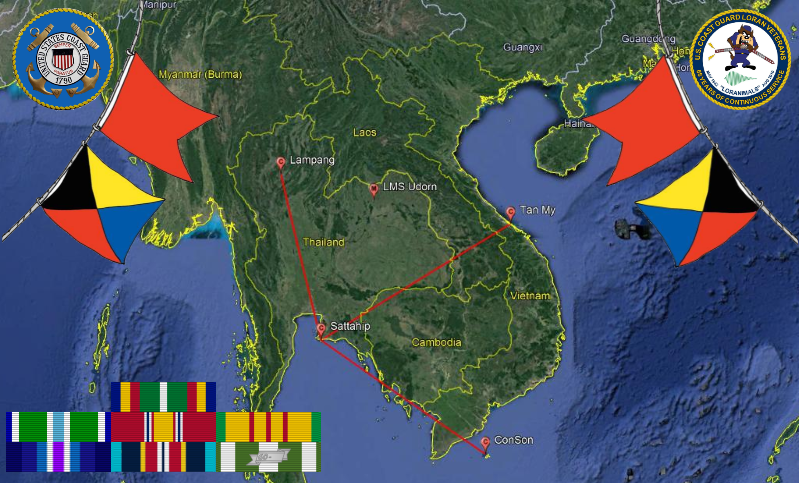 The Southeast Asia Chain was requested by the U.S. Air Force during the May1965. Once funding was secured, the construction began in June 1966, testing commenced in September 1966. and the chain was declared operational on 280400Z OCT 1966. Congrats to all who made this chain up and running within those few months. The intention of this site is to document the role of the U.S. Coast Guard in the support of the U.S. Department of Defense Radio Navigation program, in particular LORAN. This site is not affiliated with any United States government agency, foreign government or a private entity. All inquiries may be sent using contact us on the home page.